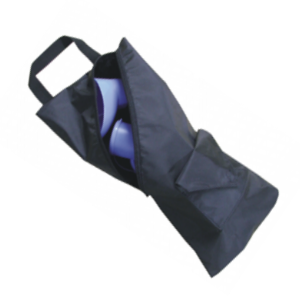 This stylish washable carry bag discretely conceals our unisex urinal. The carry handle allows it to be hung from a wheelchair. Size: 17 ?" x 8" x 4 ?" (44cm x 20cm x 12cm) (L/W/D). The carrying bag is available separately.